Last week’s post ‘Arresting the Reader’– a masterclass in opening lines - resulted in a variety of wonderful responses and examples here on the blog and prompted an interesting discussion on Twitter. One tweep (twitter user for those who are not familiar with Twitter jargon) quipped that he thought all his readers should be arrested - and I had a giggle at that one - so thank you to @himupnorth! Another writer tweep said that after reading the post, she had ‘revisited her opener’ and having taken on board the advice to get a sense of mood, tone, content and place in those first few sentences, now felt ‘really proud’ of her opening lines. Fantastic! This week, I have been asked as a result of a writer’s title crisis to do a post on book titles. This is a subject I also need to explore for my current unnamed WIP (work in progress) and one I covered early last year when I first started blogging and writing ‘Reaching for the Stars’. As many of you may not have read this post before and others may appreciate the refresher - I am therefore reposting it below. Do you decide upon the title of your novel first and write the story to suit or do you finish the manuscript and choose a title afterwards? With me, the title usually 'pops' into my head while I'm pondering the theme, the premise and the characters, then it is fixed. I just can't help myself. Of course, it might not be a good idea to get too attached to it if you have a publisher, as I know lots of writers who thought they had the perfect title, only for it to be changed later. Famously, Jilly Cooper's latest blockbuster 'Jump' had a working title of 'Village Horse' during the four years she was writing it. So what makes a good title? Well, surely it has to be the minimum number of words that sum up the feel of the book. If you can relate genre, setting, time period and premise, as well as attracting attention to the cover, then you have to be backing a winner. 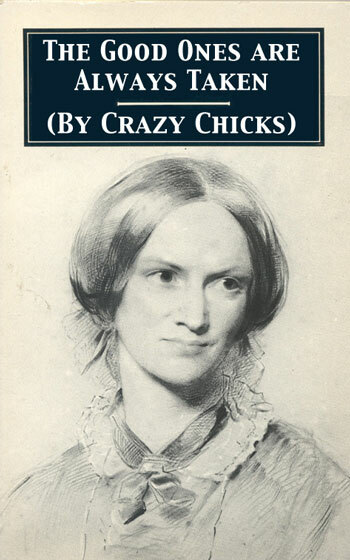 I had an interesting time on Better Book Titles today - it's a website that features recognisable book covers of bestsellers and classics and updates them with a twist - giving a much more descriptive title. You can also now follow this site on Twitter at @betterbooktitle. The site is run by Dan Wilbur and he aims to give you the meat of the story in one condensed image. Great fun! Next I would suggest giving yourself some time and space to process your ideas and to allow your subconscious to work. 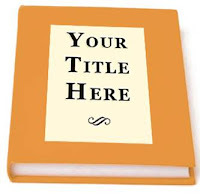 Then, when you have a title or a selection of title ideas to work with, go to Amazon and look up other books with titles that are similar or the same - noting in particular the ones in the same genre as your work. Originality is always best but remember that there are no laws of copyright on titles. Writers - do tell us how you came up with the title of your book and at what stage in the writing process you did it...? 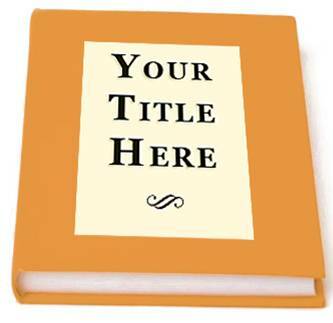 Readers - what makes it a perfect book title for you...? All comments and tweets appreciated. I find it easier to find titles for my short stories - they tend to pop out at me while I'm writing the story! It's different for my current wip. It's had so many change of titles, it's silly!! So thanks for these really handy tips! I like the reverse dictionary concept!! That's really handy, thank you!! This will seem terribly pushy and I do apologise! but, funnily enough, I did a blog post on this very subject 4 weeks ago - about how I arrived at my titles and how important they are. http://www.miriamwakerly.blogspot.com/2012/01/what-shall-i-call-it.html It was really interesting to read your post Janice. Thank you. Interesting post, Janice. I often find a particular phrase or word in the book becomes the title long after the original was thought of. One of mine had no title all the while it was being written and was referred to as my "Greek Geek". Thankfully proper title now found. And no publisher is going to make me change it! This is really interesting! Once I have the story idea (basically my female and male, the setting and the first obstacle in their way) I HAVE to have a title or I can't focus on the writing bit! I think it helps to remind you about the theme of the book. Excess All Areas (Freya is a size 20 and both she and Nicholas have too much going on in all areas of their lives), Breaking the Ice (virginal box office assistant meets pro skater), Knowing Me Knowing You (relationships gameshow of the same name) and Strings Attached (lots of complications and Quinn's a guitarist) SIMPLES! I LOVE deciding on the title!! I read something somewhere quite a while ago (story of my life! ), wish I could remember where, about the importance of specific words in titles. It gave a list of words that ensured your title would be noticed, bought etc, if you included them. Funnily enough, out of that list the only word I can remember is 'death'. I wonder what that says about me? I love the title for my WIP and most people like it too, trouble is now I've rewritten quite a bit, the title is redundant. I'll have to come up with a new one and save my current one for a later date. I just usually list all the words and phrases that are associated with the characters, setting and theme and then play around with them until something clicks. Hi Old Kitty! yes, I find the reverse dictionary to be an interesting concept too - and one to try. Sheryl - thanks for your comment and congrats on your own recent bestseller! Nicky - I get your dilemma and my personal opinion is that your three titles should be linked somehow so there is no doubt the books are linked too. I'll be very interested to know what you come up with! Miriam - thanks for your comment and I will check out your post. Thanks for sharing. Kit - I'm rather taken with Greek Geek' actually - but agree you should stick with what you think is the perfect title. Hi Mandy! I'm exactly like you in that all I start off with is two people, a setting, and an obstacle in their way. Now I just need a perfect title! Chris - if you ever find that list - will you please please let us have a peek at it..? Lol! Sue - I feel for you - killing your darlings (in the literary sense) is one thing but deleting a title is quite another! Hi Janice, I've tried twice to comment on your blog on book titles, and the second time it tried to make me sign up as a blogger and then then said I already had an account and then wouldn't accept what I thought was my password....aaaaarhhh!! So what I said was: I hadn't realised that titles don't have a copyright, so thank you for that. Also that your idea to browse Amazon for similar titles was a great one. A friend of mine who worked for Penguin said you should avoid one-word titles. I promptly called my novel 'Cells' , which didn't quite do it, but I was never able to find a better one. Now it has a strapline suggested by my publisher SilverWood Books and is called 'Cells - One woman, two men, a last chance for happiness', which is much better but probably doesn't completely say it all. Which shows how difficult titles are. Thank you for writing about them! Good post, Janice. I always like to have the title from the beginning as it makes the novel more real to me - in the same way as I prefer to have characters' names right away. My book was Gap Years are Wasted on the Young for ages - as it was prompted by that headline in a newspaper. But, I was told, that is not what the book is about - it doesn't tell me that this is a tale of an older woman going walkabout. So I took it to my reading group and brainstormed it - we came up with Over the Hill and Far Away. Even that isn't without its detractors - how can you say you're over the hill when you did all that. It's a joke, I say. Because laughing at myself it fine (and sometimes necessary). I think the title is the fun part! Usually have the title - or at least two or three options before I start writing. However, one thing that is important is to Google it and see what comes up. If it's been used extensively, or recently by another author then it might be time to re-think! Another great post Janice, thanks. Janice, I'm not really a detailed plotter, which means that the focus of my novel changes as I write. This has implications for the title - which also changes as I go along. Great article, Janice. I took a while to think of a title for Discovery at Rosehill and I still was never happy with it! But with Hideaway, it just came to me in a flash and I stuck with it. Great post. I love thinking up book titles and can change mine with different drafts. Probably has something to do with being indecisive! Coming up with a title is likely the most difficult part of the entire writing process. You need to get the 'high concept' of the book into as few words as possible, yet convey the story accurately. Thanks for reposting this one.